The development consists of a new 29 storey mixed-use high rise and a 6 storey mixed-use low rise building. The mixed-purpose development will include double height retail spaces at ground level, commercial office spaces and residential apartments. The dynamic form incorporates a mix of clear and gold glazed curtain wall panels bounded by horizontal and vertical sunshade elements. 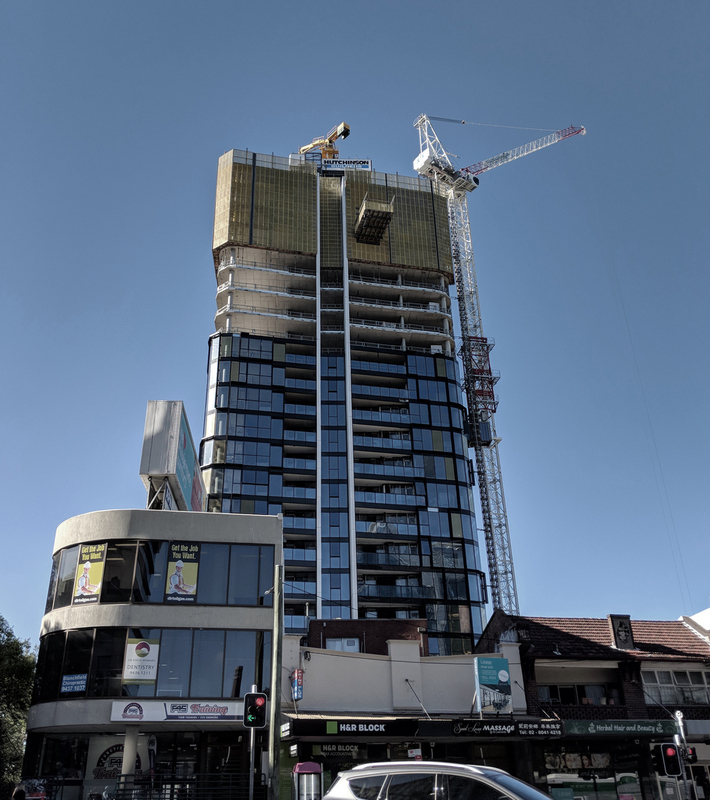 Inhabit was engaged by the façade sub-contractor and has worked closely with Austech Facades to design and engineer the façade assembly.